Three episodes aired on TV as part of the Ribon x Oha Suta specials. I absolutely loved Hiyokoi, so when I had heard that more were soon (or later) to follow I was excited. I found these today and started to watch. First of all they are extremely short running at only 1-2 minutes per episode and there are only three. So the story basically follows after Hiyokoi the first special. The short girl nicknamed chick and the tall boy in an incredibly short amount of time bond and overcome an obstacle. ART: It almost felt as though they took colorful pictures and flashed them in the screen to show movement. CHARACTER: I really liked the characters, but if you haven't seen the first special you won't really know who they are and what they are about. These three shorts do not give you much insight. They only give you a slight overview of what you already know about the characters. ENJOYMENT: For as short as they were, I have to say my enjoyment was more than I thought it would be. It did tend to be a bit cute. I would say watch it if only for a teaser. OVERALL: My overall experience for this left me questioning, "why cruel world couldn't these be longer!" I wanted more, and it left me wanting more. I really don't think I could say anymore about these because they are so short. I look forward to them continuing the show into a full series. Unfortunately if I gave the scores I did because I was hoping for more, and looking for more. 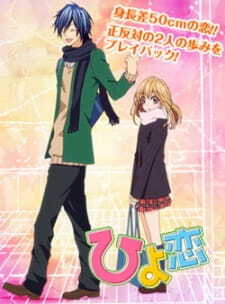 I stumbled upon the first episode and quickly became engrossed in the cute fluffy story line. After the first episode i got the feeling it would be a short anime as everything moved so quickly which was okay it didn't seem rushed, but shortly afterwards I realized the last 2 episodes were only 2ish minutes long, they seemed more like a trailer or something that sums up the episode. There could have been so much more done with this but i assume because of budget cuts they couldn't. I hope this gets another go, the 2nd and 3rd episode was disappointing. This would have been an 8 if the other episodes followed the first.